Being said above, there are tonnes of good mangas (Japanese comics) and animes (Japanese animation) that actually incorporate these moral ethics into their storyline. There are stories that show their readers the importance of family, the value of loyalty, the possibility of forgiveness, the magic of unwavering trust and hope and of course along with it, portraying the undefeatable power of love. Anime movies like the Summer Wars, Garden of Words, the highly-raved release of 2016 Kimi No Nawa (Your Name) and the works of the Ghibli studio are some of the masterpieces that I can think of now; and I'm not even going to start with anime series because it'll take forever for me to list them down. 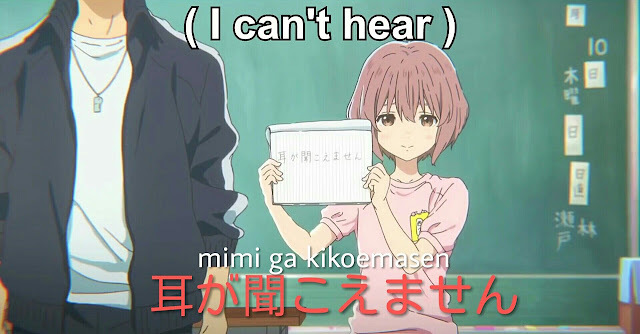 That is why the release of the movie Koe No Katachi or also known as A Silent Voice is actually something I've been looking forward to since I came across the news about its production. Actually that was an understatement, I was utterly ecstatic and overjoyed upon hearing the news! It really made my day and I knew instantly that the storyline would be awesome because it's a remake of a manga of the same name that I've read a few years back. First of all, I've always loved how different the storyline of this manga/anime is. It's telling the story of a bully which is definitely not your everyday hero. When I first read this manga, I found myself sympathising with a lot of characters. 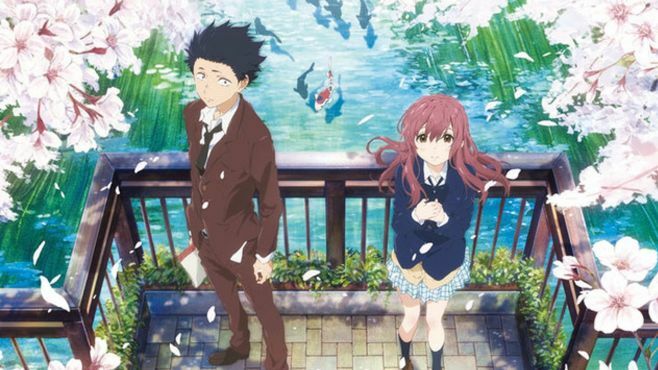 There is nobody who is exactly good or bad; they are all just in between and everything in A Silent Voice (Koe No Katachi) falls into a grey area. When you watch this movie, you'll start to feel a lot of emotion; frustration, anger, curiosity, awe, hopeful etc. 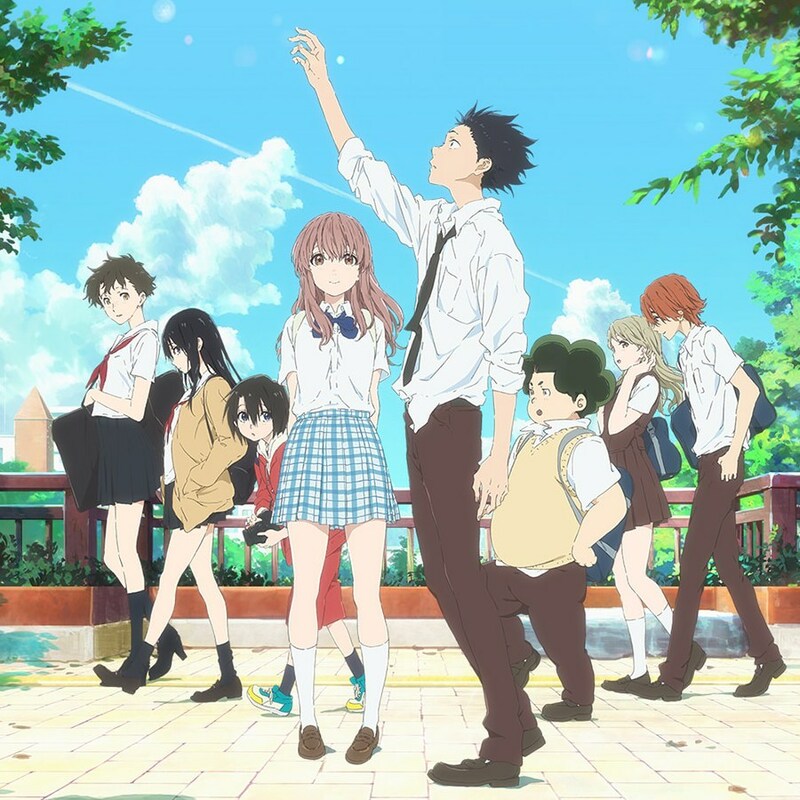 Its ability to pull out all of these feelings is quite surprising because contrary to expectation, rather than bringing the viewers in a roller coaster of adrenaline rush going through one scene to another, A Silent Voice movie opt to bring you deep into the emotions of the characters through a more peaceful and calm timeline instead. This story also managed to tackle on a lot of social issues without glorifying it too much. They're very real and some of you will be able to relate to it on a very personal level. Depression, social anxiety, bullying issue, suicide and social view on disability are some of the things that are taken into context in this movie. Of course, there are also positive values incorporated such as friendship, romance, forgiveness and a little humour included to lighten up the mood and not make it too dark. I really want to applaud the production studio for being able to capture most of the storyline from the original manga into the movie. The animation is amazing, and the soundtrack is just as beautiful too (especially the ending song). I do suggest you go and read the full manga after watching the movie for a more detailed back story and proper closure though. You'll be able to see a bigger picture if you do. Overall, I totally recommend everyone to give this movie a chance. It made me remember again the reason why I find the manga amazing in the first place. I am really happy that TGV decided to show this in Malaysia because the feeling of watching the story unfold on a big screen is really different. Even my friends/colleagues Eros and Sydney whom I dragged along with me that night would agree with my sentiment. It's a masterpiece and you should experience it at least once in your lifetime and I was really happy that my friends enjoyed it too. So, if you were unable to decide if you should give this movie a chance, I hope my review will change your mind. P/S: If you haven't got the chance to watch it, you can find the movie here; although I recommend supporting it by watching the movie at the cinema or buy the copy instead.